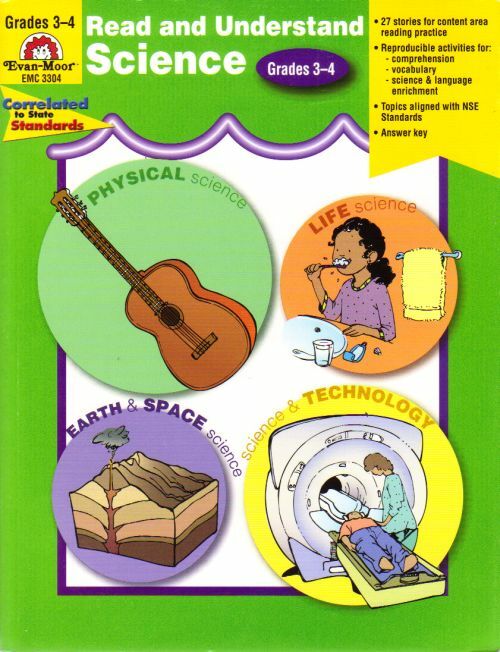 The Read and Understand Science series addresses objectives drawn from the National Science Education standards in the areas of life science, physical science, earth and space science, and science & technology. Topics include plants, sound, stars, and telescopes. 2002 consumable paperback. Minimal shelf wear to cover and pages. Text is clean and unmarked. Sound, tight binding.